Nathan Muir, aged 35, admitted he allowed himself to hope his parental visit ordeal was over when his mother stood up and went into the hall, only for his dreams to be dashed when he heard the kettle going on. He sobbed: “Surely it was obvious to everyone that we’d run out of conversation two hours ago. 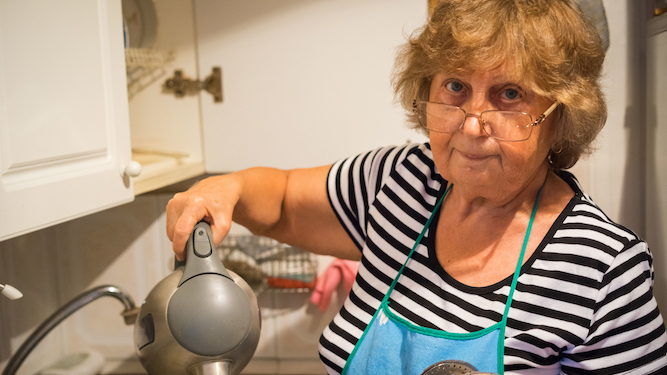 “Even when she came and collected mugs I desperately pretended she was just washing them up by hand even though I’ve got a dishwasher, like old people do. But no. “She came in with a look of reproach that she’d had to make herself her eight mug of tea in four hours, settled down in her chair and began telling me again what a lovely time I’d have had at Yvonne’s 50th, if I’d turned up.